Model FC2002 features a classic stack-tank design combined with a low-amp draw, 2 HP motor for high output and consistent production. 4.1 CFM @ 90 PSI. 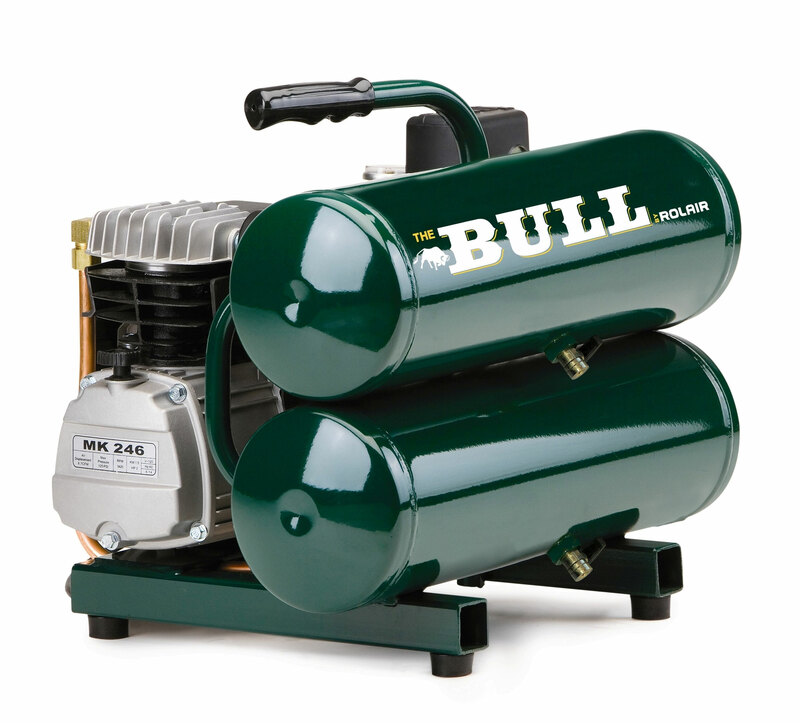 Motor features also include manual-overload protection for longer life and ball bearings for great durability. Oversized crankcase helps hold oil viscosity longer and protects pump on unlevel surfaces. 2 HP, 3400 RPM, S-1 Rated for Continuous Duty, Low-Amp Draw, Overload Protection with Manual Reset, 115 Volt, 60 Hz, Heavy-Duty/Industrial-Grade with Ball Bearings for Greater Durability. L x W x H 20"x15"x17"